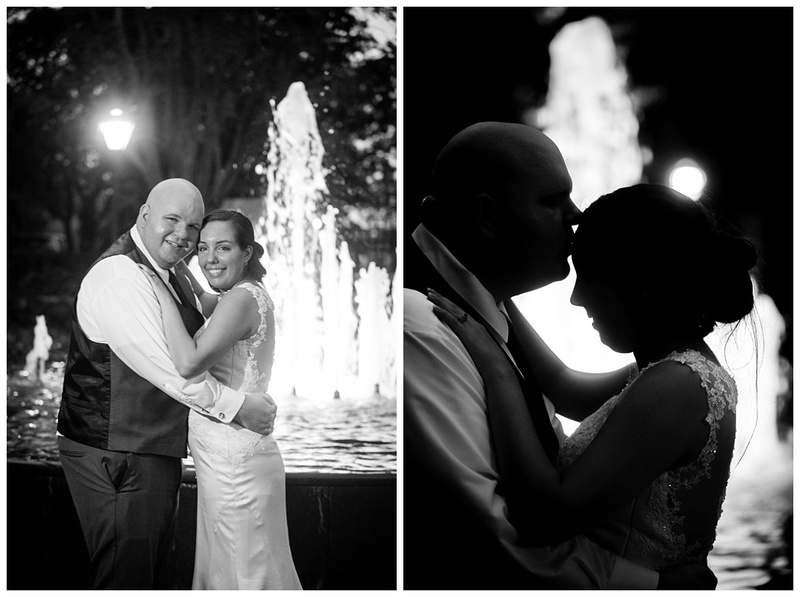 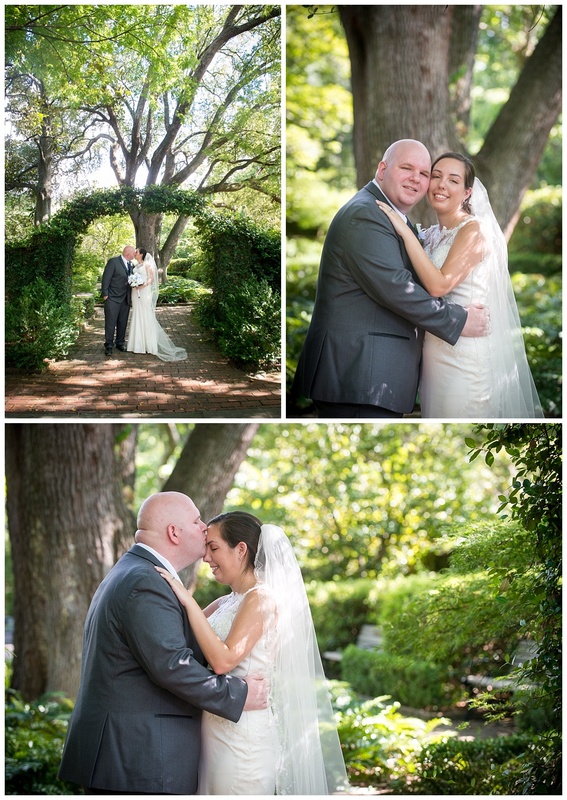 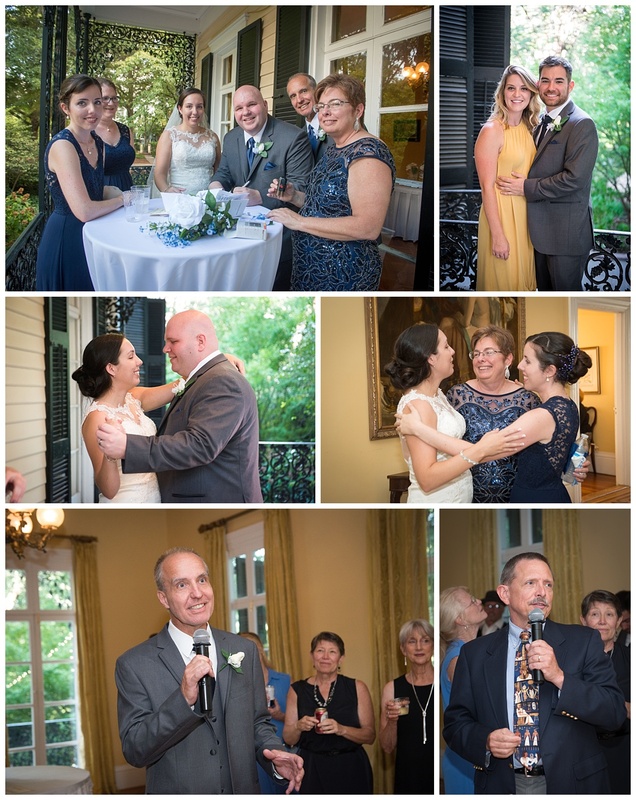 Megan and Dave were married this weekend at the beautiful Lace House. 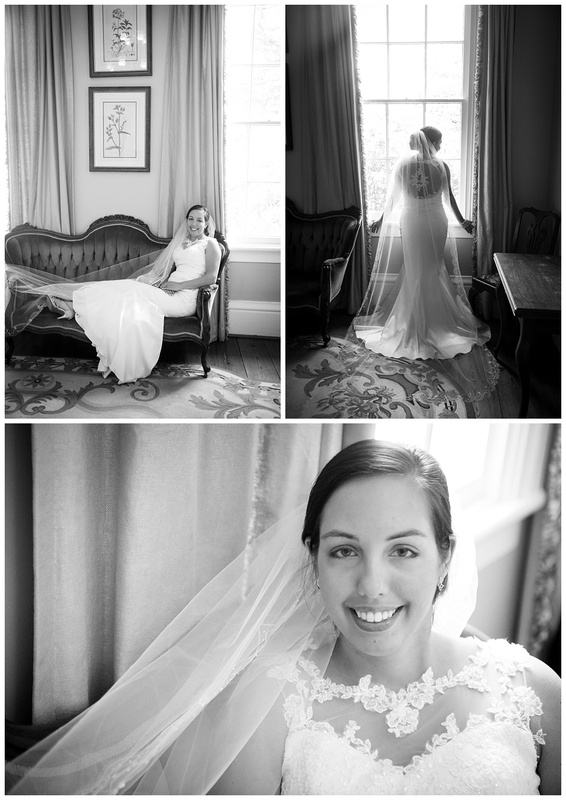 We began the day with a few portraits of Megan in the getting ready room. 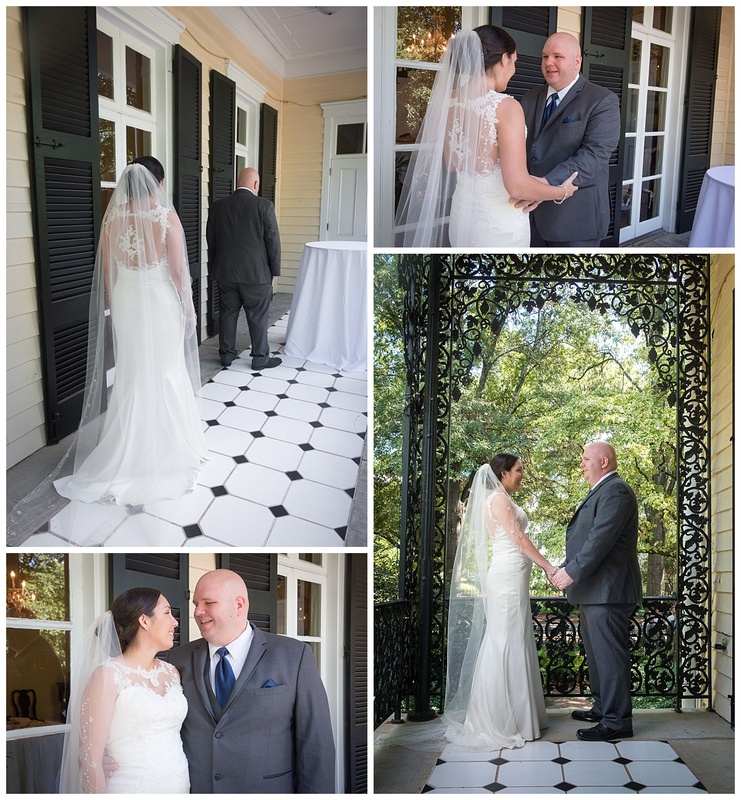 Their first look was on the checkered side porch overlooking the patio which had just been set up for the wedding ceremony. 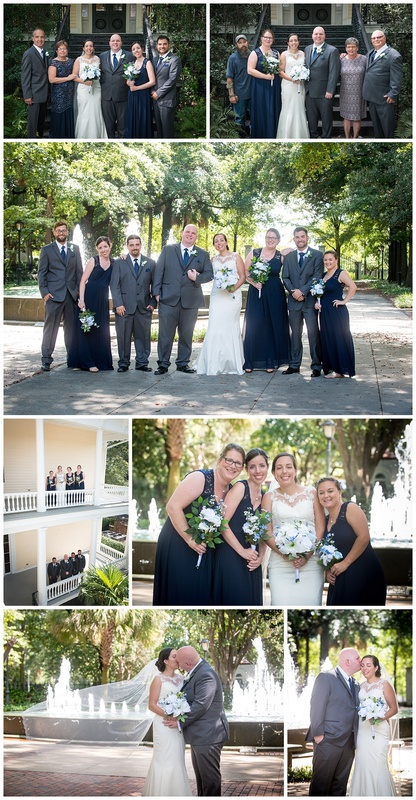 The first look allowed us to get lots of family photos beforehand as well as some fun ones with the bridal party. 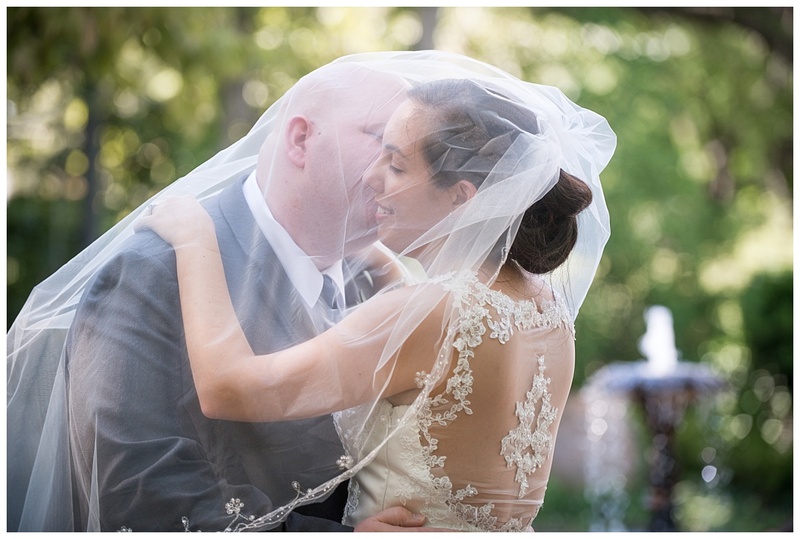 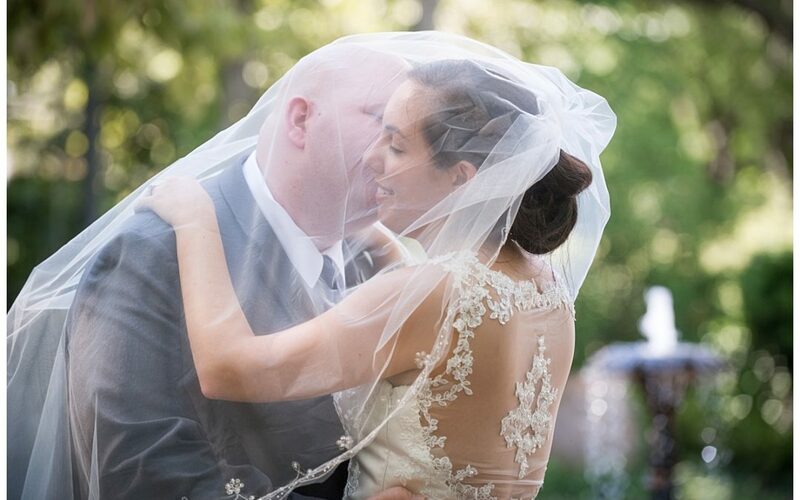 I adore the lacy back of Megan’s dress- so pretty! 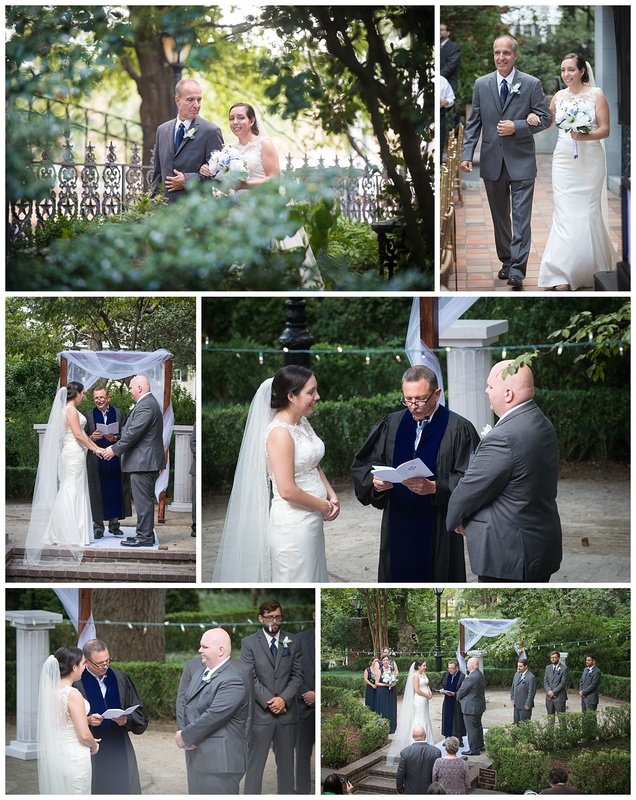 A few thunderclaps made for a dramatic soundtrack during the wedding ceremony but thankfully the storm just missed us and everything stayed dry. 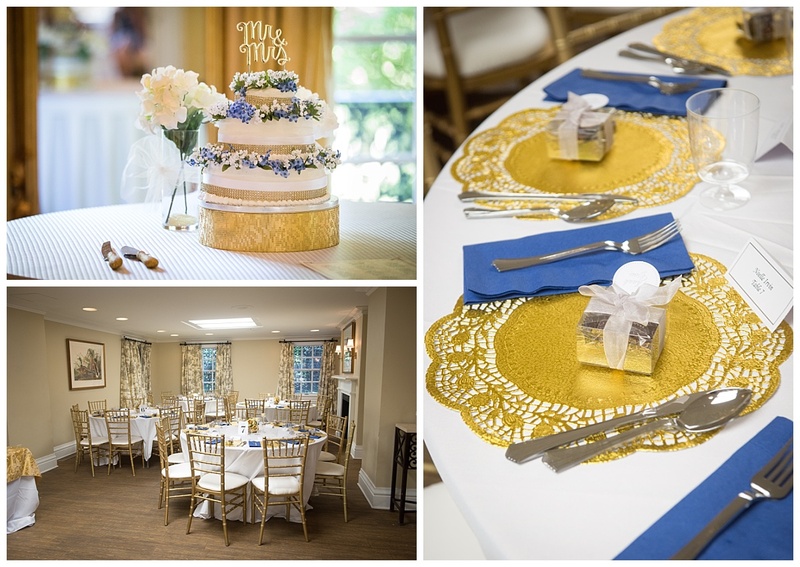 The reception was setup in the downstairs of the Lace House in a blue and gold theme. 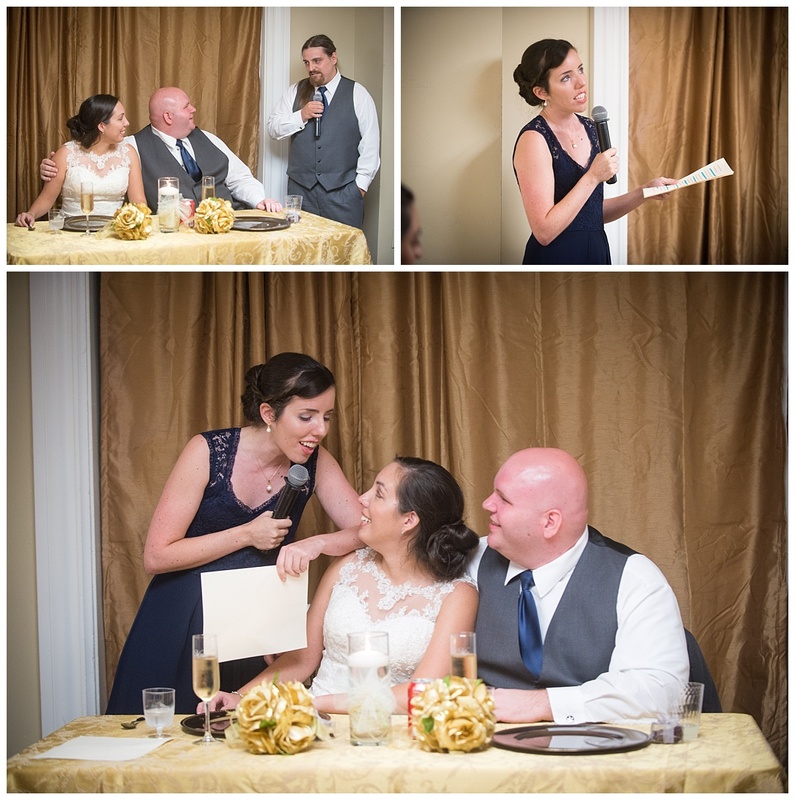 The couple cut the cake and threw the bouquet from the balcony. 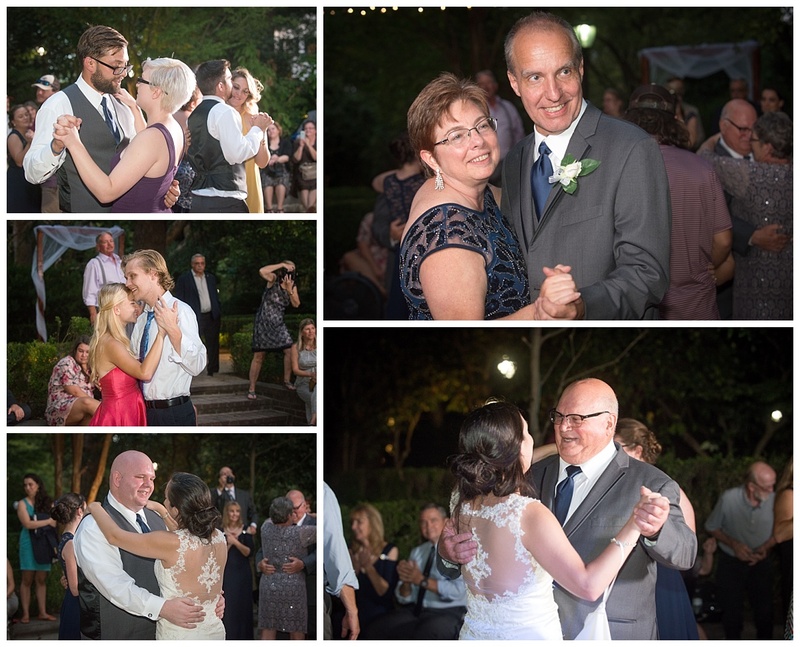 Dave Gilbert of Partytime DJs kept the party hot as the sun went down! 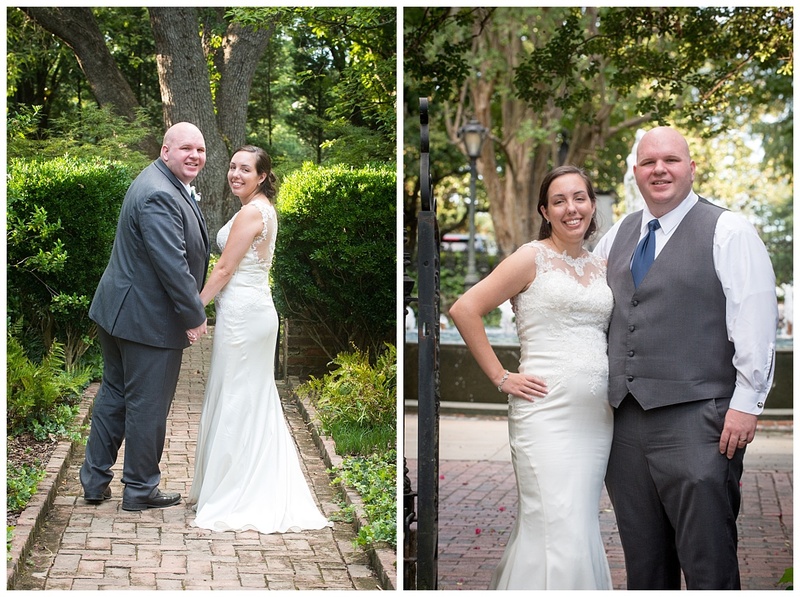 Congratulations Megan and Dave and I hope you have an amazing mountain getaway honeymoon!